DETROIT RUNNER....: Detroit Marathon Expo! Rest day today.....but NOT tomorrow!!!!! Entrance to the "S expo" Gotta love it! My running buddy T having fun! Lots of stuff and lots of people! 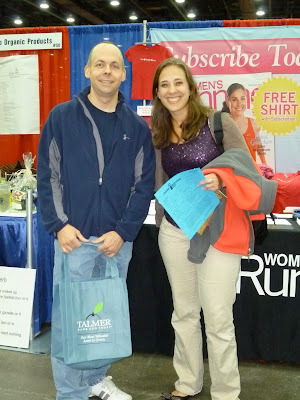 I got to meet Discom-BOB-ulated Running! 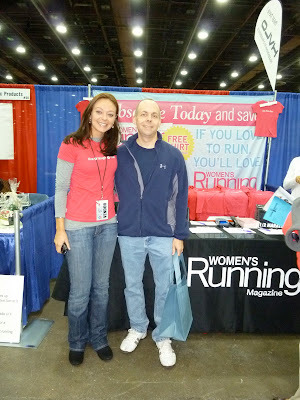 She was at the expo working the Nike Women's Running Magazine booth. She came all the way up from Miami and I was wishing I was down there! Haha! I would love to do that job and get to meet all those runners! It wouldn't even feel like work to me. If you do not follow her, check out her awesome blog HERE. She was meeting up with Morgan over at CAUTION: Redhead Running later. I would have like to meet Morgan too! You can check out Morgan's blog HERE too. Both are incredible runners! Then literally two minutes later I got to finally meet Megan from Watch MeGo Run and her infamous Ryan along with RunnerSis and RunnerBro. We should have gotten a picture of everyone. Yes, it's a blog thing - I think they would have though I was really strange. Haha! I've missed Megan at so many Detroit area running events, it was nice to finally meet her in person. If you don't follow her, go HERE. This will be her third race in three weeks and her second half marathon! Incredible! That's a lot of running!! The other individual I got to meet was Mark Matthews, author of The Jade Rabbit. This is the book review I did awhile ago(click HERE to read it); I forgot to bring my copy - I wanted him to autograph it! He'll be at the expo today as well so go buy his book. It's a nice change to your typical running book. He'll be at the Running Fit booth. He even quoted me on one of his flyers(which i posted a picture below). Good luck Mark - I hope it goes well for you! Now I'm not really a big Disney fan and really had no plans to go back there.....UNTIL I saw their awesome medals!!!! Wow. They are incredible! 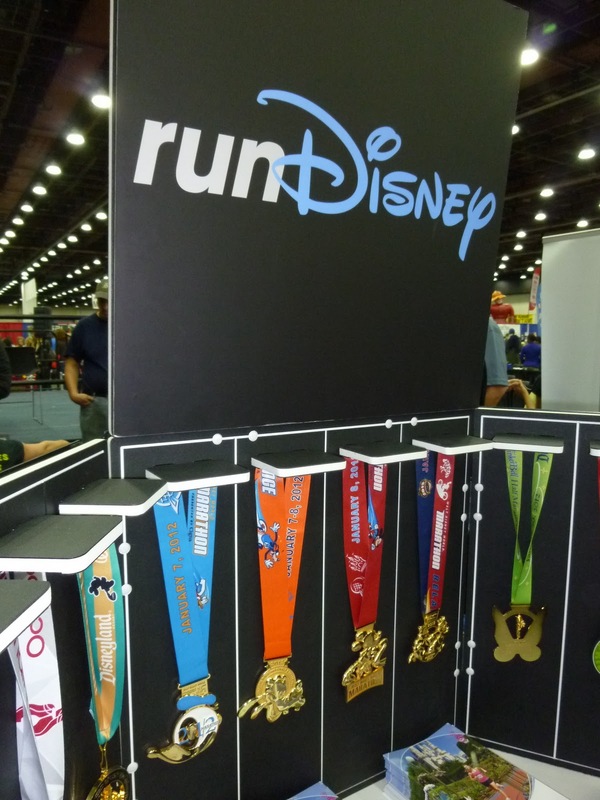 Even the 1/2 marathon medals are unbelievable but I suppose they should be as Disney never does anything small (including their entry fees) Haha! This is a moving truck showing the map of the route. It really is a well planned route that allows you to see much of the city and I'm proud to be call Detroit Runner this weekend! 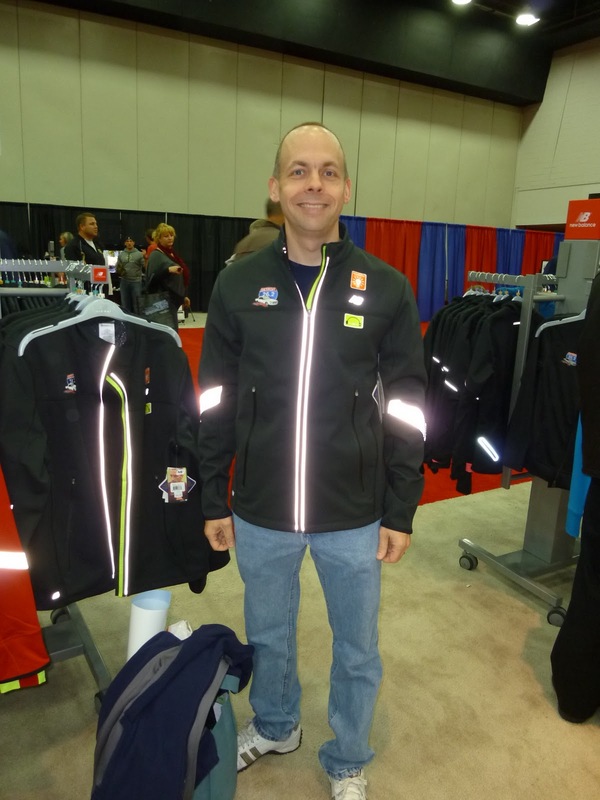 Now, this was a really nice 26.2 Detroit jacket from New Balance but frankly, it fit but it didn't feel super comfortable so I passed on it. I thought I looked pretty good in it but not for $130 bucks! Here's the shirt for this year. Frankly, I liked brand of shirt from last year better. They used a different company to get the shirts. I would have liked them to keep the same New Balance shirts this year. 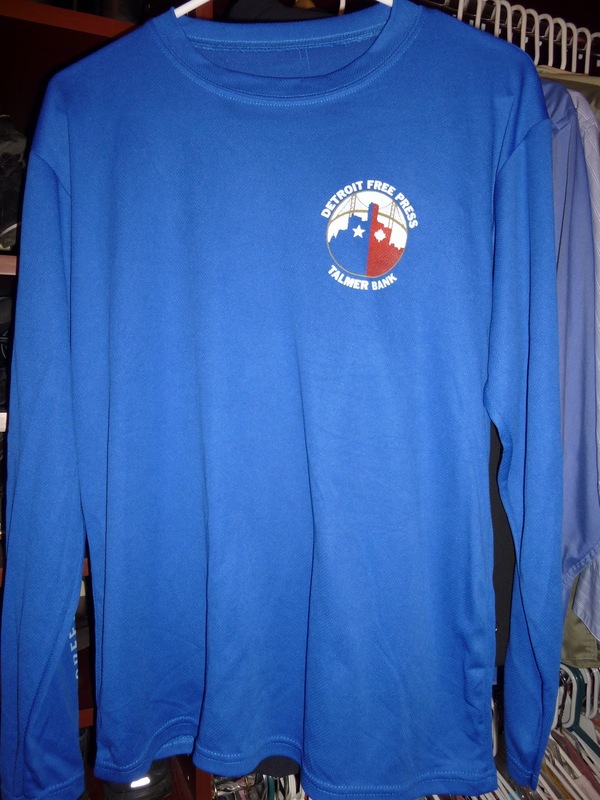 While I have a few of this brand, Leslie Jordan, it's just not as nice as the NB shirts. Why cheap out on them? It is a nice style though and not loaded down with advertisers. 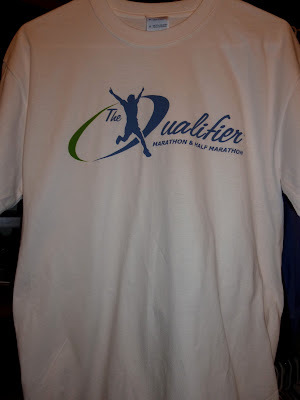 There were many other races at the expo selling their race and a new one in Michigan called "The Qualifier" was there and they were even giving out t-shirts! Sweet! For those interested, it's going to be in Midland, Michigan and the Crim organization helps put it on so you know it will be a high class, organized event. The idea, to help you qualify for Boston. Easier said than done! 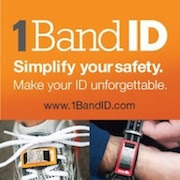 Check out their website if you are interested. (click HERE). They were also doing a contest to give away a free entry into the race. I'll take it! Of course, I had to get my nutrition for the race tomorrow. Best place to get these since they are cheaper. $9 bucks for six of them. Guess what my favorite flavor is? That reminds me, I have a winner to announce for my giveaway for these and will do it next week. Runners also got some Gatorade pro Carb chews in their packets. Now, I won't try these tomorrow but I will give them a try to see if I like them. Great way to get people to purchase your product - put them in the goody bag. Here's my bib number. 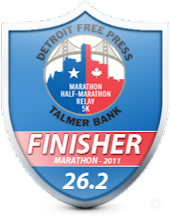 If anyone wants to follow me, you can go to the Android or Itunes store and download the Detroit Marathon app for free and follow me on the course. There was over 20,000 numbers and I had a three digit! Probably because I signed up for this on the very first day - January 1 - can you believe that? What was I thinking? I'm also sticking with my race plan. I'm running with a Pace Team, the 3:55:00 group. I figure this will give me a few minutes play in there to meet my goal. This will be on my back! Then we took a detour and flew to New York City for the night. Haha! Not really. This was a poster than Asics was giving away at the expo. I took a picture of it without the Asics logo. It looks like we are right there, doesn't it? I love the sign. Here's what I walked away with. 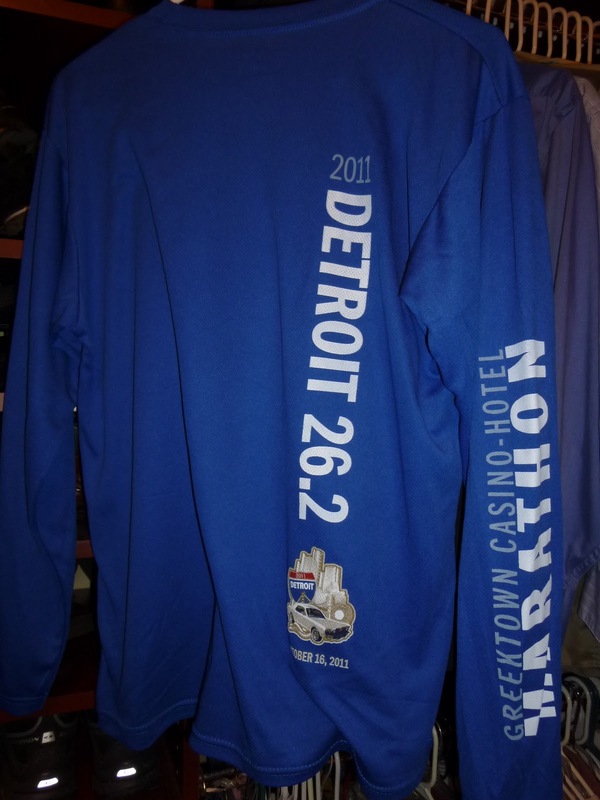 A new Detroit 26.2 mug. Yes, that's right folks, I spent under $20 including my Clif Bloks and this mug. Nice! So that's it, that's what I did with my Friday evening. 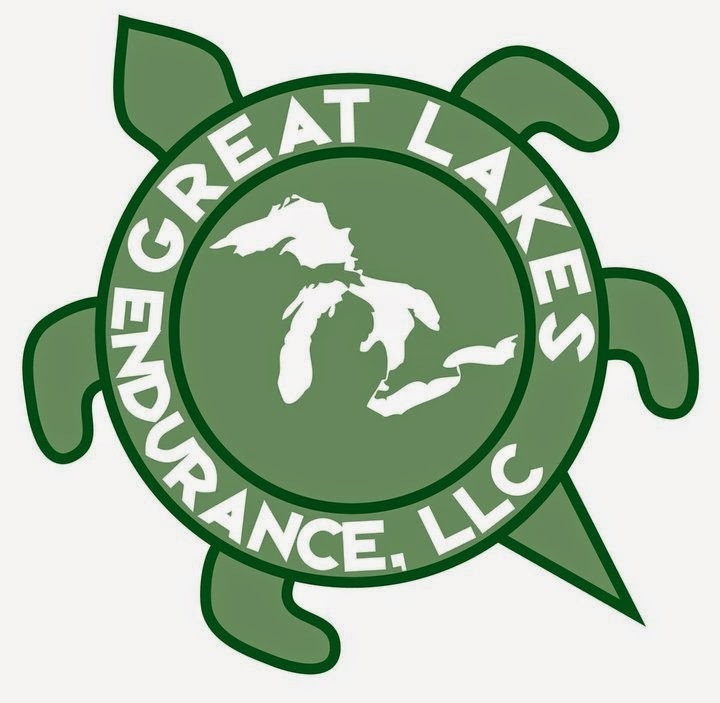 For those of you running the Detroit Marathon, half marathon - good luck! Enjoy it. It's a unique race! Sorry I was not able to meet up with any other bloggers and it sounds like there are many of them running this. I'll be in Corral E if you want to look for me! So glad we got to meet! They wouldn't have thought you were creepy, they all know its a blog thing and they all said you seemed really nice! I have also said I wouldn't run Disney because of the price, but those medals are amazing! You're lucky you only spent $20...I spent much more than that. Whoops! Good luck tomorrow, I hope you get sub 4! I'll look for you! Just reading your expo report got me all giddy, and I'm not even racing tomorrow. Looks like you scored some awesome goodies and got to meet some swell folks (watchmegorun is pretty awesome!). Have a great run tomorrow! I'll be cheering you on from home! Hopefully we'll get to meet one another soon! B.o.B. is taller than U? LOL, I'll be at mile 24 handing out beers! Your expo pics are awesome - sorry I missed you there yesterday. Good job getting out spending less than $20 - I did not do that well :) But I picked up an awesome 26.2 Detroit jacket - not the crazy expensive one. Good luck tomorrow! Good luck to all runner tomorrow! Boy you came away pretty good from that Expo. Good Luck Tomorrow. 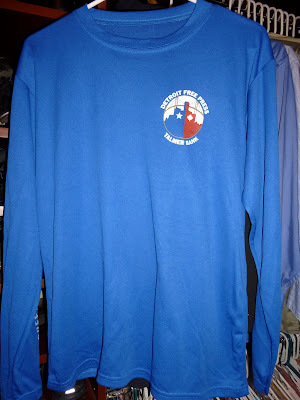 The marathon I'm running tomorrow only gave us white short sleeve cotton shirts. Cant believe they couldnt give a teck shirt at least. Love the color of your shirt. That mug is awesome. Ken - Yes, you KNOW how short I am. Faster to run -haha! Rose - good luck to you too! Megan - we will meet at some point I'm sure. Penny - sometimes the cotton shirts are nice for everyday wear. I get one in a 10 mile I do but also buy the tech shirt too. How fun to get to meet all those people! Good luck on the marathon. I will be watching for race recaps from everyone! Good luck! You are going to have a great race day! rockstar meet ups!! I love Morgan she is the sweetest ever. Good luck! Looks like a great expo, and if you got out with only spending $20 that's pretty impressive! That looks like a great expo – it's great you got some cool stuff without spending much money at all! Thank you for coming out to support and cheer for the Brooksie Way runners a couple weeks ago. That's very cool, and much appreciated. Good luck tomorrow! 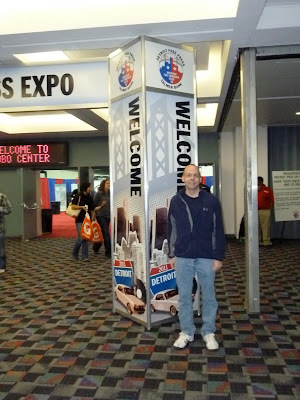 I'll check out the Detroit Marathon app and cheer for you virtually. I hope you run well, beat your goal, and have fun! You are going to do great!!! Go kick some a$$!! Can't wait for the race recap!! i am actually in tampa, but close enough. lol! feel free to come on down. the weather is ... hot.